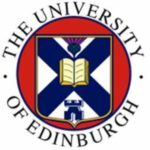 On 30th November 2018 (Friday), the School of Health in Social Science will host the annual meeting of the Corpus Linguistics in Scotland (CLiS) network. We are delighted to announce that the theme of the meeting will be “Corpus Linguistics in the Arts and Humanities”. The meeting is an opportunity for networking and bringing together researchers using corpus linguistics methods in the Arts and Humanities (e.g., anthropology, geography, history, law, literature, media, philosophy, religion, and also health/medical humanities). The event will allow researchers to present their work (either completed or in progress) and to discuss their challenges of using corpus analytic methods and tools to data in the Arts and Humanities. MA and PhD students are particularly encouraged to submit their abstracts. Arts and Humanities scholars who do not know about corpus methods, but would like to find out more about it, are also welcome to attend the event. To submit your abstract and to register for the meeting, please send an email to the organiser Dr. Laura Cariola (laura.cariola@ed.ac.uk) with the following information: 1) Name, 2) Affiliation, 3) Email address, 4) Area of interest, and 5) Expression of interest to be included in the CLiS membership database.